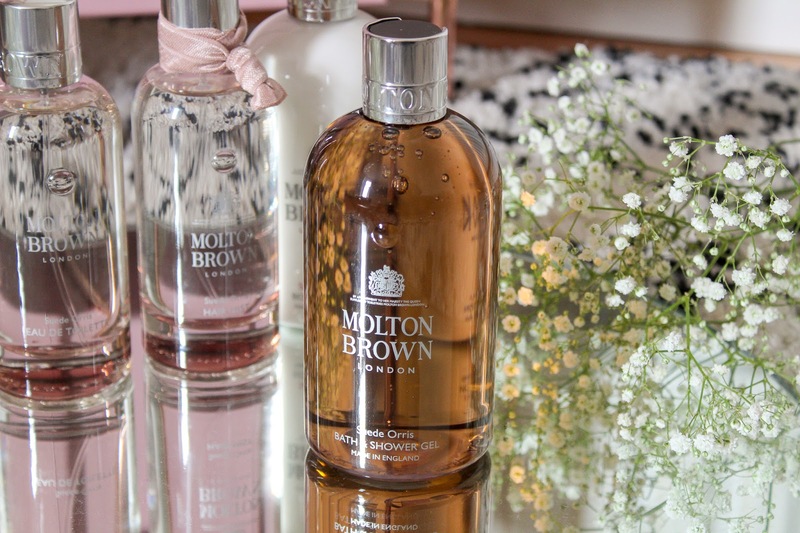 I'm a big ol' fan of Molton Brown as many of you know so I had to share a little something on their latest fragrance launch because you are going to love it! 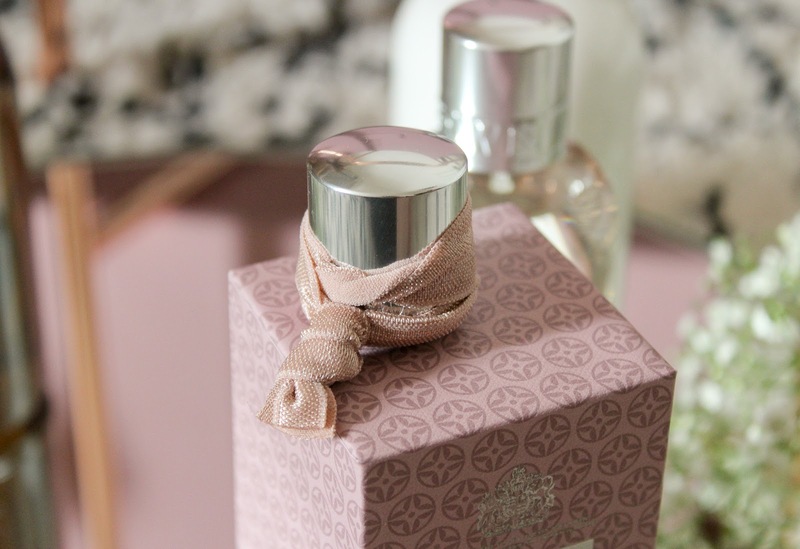 A few weeks ago Molton Brown launched Suede Orris in a suave wave of pink perfect for Spring and it is beautiful. I haven't stopped spritzing myself with it since it landed in my beauty loving hands. Suede Orris is a soft, velvety fragrance which envelopes a subtle powdery scent with notes of Tuscan orris paired with cedarwood and patchouli. There our four products available within the Suede Orris fragrance range with two eau de toilette sizes. I adore Molton Brown fragrances as they last for hours whereas other perfumes I find disappear not long after spritzing. The understated yet sleek bottles come in 100ml (£69.00) and 50ml (£45.00) with the smaller size perfect for popping on your bag on the go. I have the 50ml of Jasmine & Sun Rose in my bag at the moment. As with all their collections, there is a bath & shower gel (£22.00) and body lotion (£26.00) available. The bath and shower gels lather up amazingly with just a small drop which makes the cost less scary, I have a few of these as they last and I think they're perfectly luxurious. The body lotions are some of my favourites to use, I've very particular about moisturiser and I don't like waiting around too long for it to dry but this absorbs really well despite it being quite thick and the scent lingers for hours, I layer up with the same fragrance for perfume too. 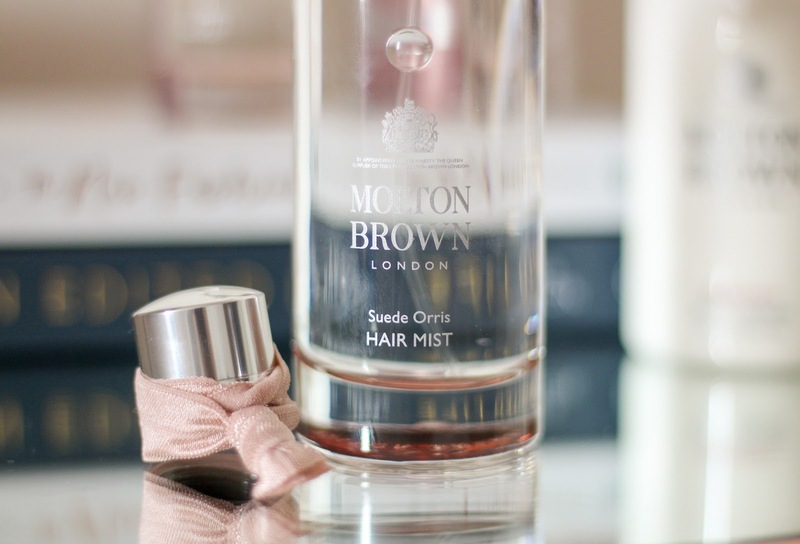 The most exciting product in the fragrance collection has to be the all new hair mist, a first for Molton Brown. I've always sprayed perfume on my hair and have never used a specific hair mist before but using a mist such as this means it's less heavy on your hair and it's great for between washes. I just spray a few spritz and with every swish I can smell the beautiful notes of Suede Orris. Molton Brown's Suede Orris is available now online and in-stores with individual products and gift sets available for purchase which is ideal for Mother's Day. Have you tried the new Suede Orris range yet? What would be the first product you'd reach for? I bet this smells SO good! I love Molton Brown! 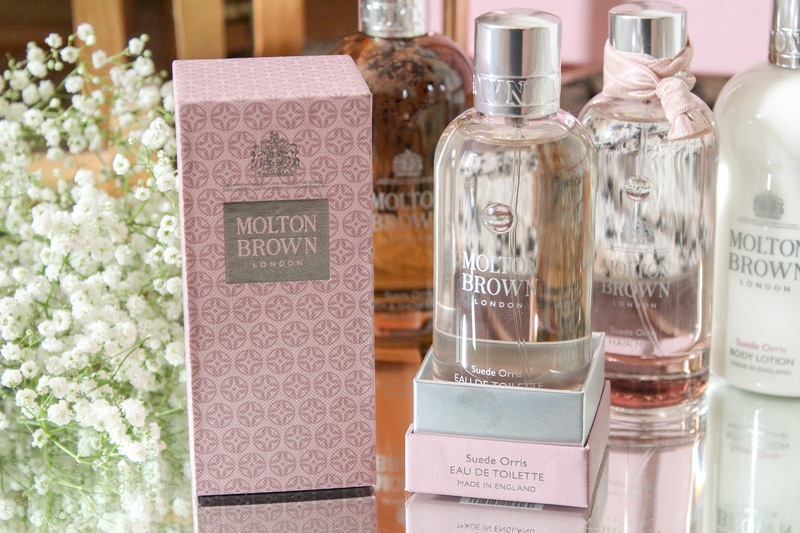 Ooh I have never tried Molton Brown fragrances, but I’ve seen a few people rave about them! You’ve described the scent of this so well, I can just imagine what it smells like! And your photography is lovely as always ��. I’m looking for a new perfume to be my wedding day scent so I’m definitely gonna give this a spritz and see if it’s ‘the one’. It sounds fab! 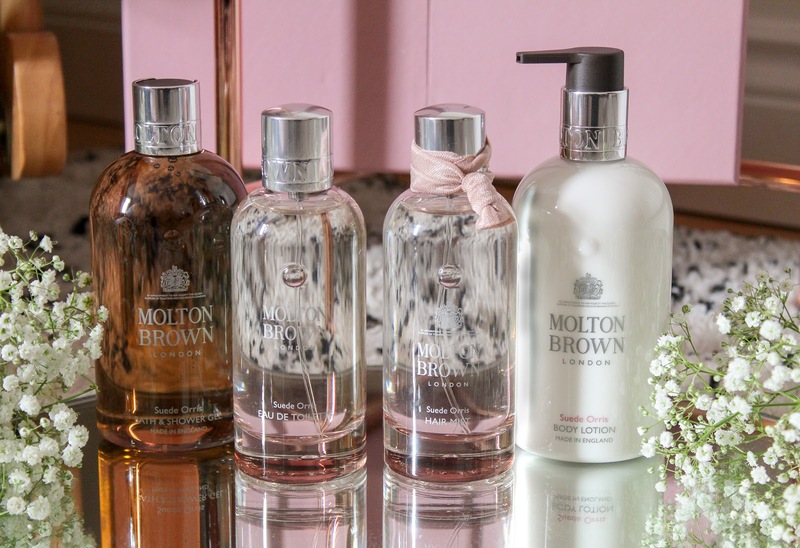 I love Molton Brown for a luxurious bath.